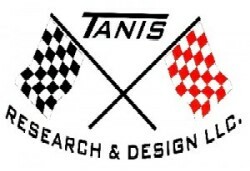 How To Replace the Steering Cable – Tanis Research and Design LLC. This instruction is for typical direct drive inboard ski boats using rotary helms. A rotary helm wraps a steering cable around a drum behind the dash, it enters and exits from the same side. A “rack steering” cable replacement is similar but has a few additional challenges, these can be identified by the cable under the dash going into a long bar (containing the rack) which attaches to the bottom of the helm. Size or length of cable to use. This is noted near the end of the existing cable stamped into the housing at the end of a long number like SSC-6217, the last 2 numbers indicate the length in feet, or 17 foot cable. Most ski boats use 17′ or 18′ cables. 1) At the rudder area disconnect the end of the steering cable from the tiller arm. 2) Loosen the large nut attaching the steering cable to the aluminum support tube, these can be very tight and require an additional pipe wrench to hold the aluminum tube while loosening the large nut. It is not uncommon to destroy the tube on badly corroded systems. Replace tube if needed. When loose pull the cable forward out of the tube and lay down on the floor. 3) Under the dash, (remove drivers seat if needed) find cable entering the helm, on older boats there will be a large nut holding the cable in place. Newer boats will have a quick connect fitting that requires a pin to be inserted to depress a plunger to release the cable. 4) Have a piece of 1/2″ ID hose x 2′ long available, when the cable is loose, turn the steering wheel to push the cable out, it will be greasy, as soon as its out slide the piece of hose over the cable to keep grease from getting all over the place. Tape the hose to the cable to keep it there. 5) Look for any cable ties that may be attached to the cable on either ends & cut them off. 6) Attach a 15′ length of ski rope or similar to the cable end that is under the dash with duct tape with at least 15″ of overlap and really tape up around the large nut well. 7) It is usually easier to remove the drivers foot rest to gain access to the hole in the floor where the cable is running, I always remove it. Then begin to pull the cable out from the back of the boat pulling the rope into the bilge. Sometimes you need a second person to make this go easier, if the cable hangs up you may need to pull back & forth to get the cable through. 8) When you have the cable out & have the rope at the back of the boat, un-tape it and tape up the new cable to the rope. The new cable will not have the large nut to contend with & will pull easier into position. 9) If replacing an old cable with a threaded end at the helm you will need to thread on a “quick-connect” adapter onto the helm, the new cable will “snap” into the new adapter. 10) Thread the new cable into the helm by turning the steering wheel until the cable “clicks” into its locked position. 11) Re-connect aft end of the assembly the opposite of how it came apart. 12) Turn the wheel until the rudder is straight, note the position of the steering wheel, if its also straight congratulations, & buy a lottery ticket, you just got lucky! Most of the time the wheel will be off, note how far off it is, release the cable retainer pin & unthread the cable slowly and when you see & hear the cable no longer coming out of the helm reposition the wheel, then thread back in and check again. This may take a few attempts to get it right. 13) Put everything else back & your done!